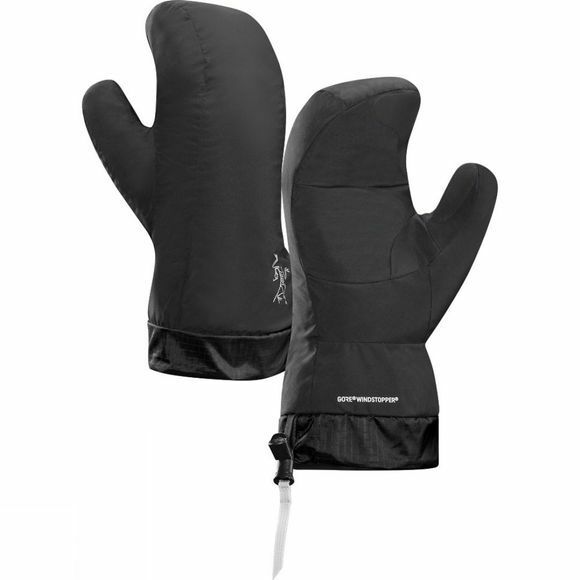 The versatile Arc'teryx Down Mitten can be used as a warm insulation layer or on its own on cold, dry days. Made with Cetus fabric, a lofty, pill resistant fleece shearling, the mitten provides effective insulation with breathable comfort, wicks moisture, and dries quickly. A layer of Polartec Power Stretch fabric with Hardface Technology fleece adds durability, warmth and helps shed snow. Carefully articulated patterning mimics the hand for improved dexterity, and the trim fit layers easily under a shell.